We are delighted to present the premiere of ‘Horrible Creature’, a new documentary by Áine Stapleton. This piece is the second of a proposed trilogy of films about Lucia Joyce, daughter of James, a woman who suffered with mental health issues for much of her life. The first film, Medicated Milk, challenged the accepted biographical detail of Lucia’s life and explored the complex nature of mental instability. In 1915, James Joyce and Nora Barnacle traveled with their children Giorgio and Lucia to Switzerland to escape the turmoil of WW1. Lucia was 7 years old. In her memoirs, she spoke fondly about school in Zurich and her talent for gymnastics and arithmetic. She later trained as a professional dancer in France and performed throughout Europe, finally escaping the tight grip of her family. This short-lived freedom soon came to an abrupt end when in the early 1930s she was forced into psychiatric care and underwent experimental treatments at various hospitals across Europe. ‘Horrible Creature’ draws on Lucia’s writing to explore her world between 1915 and 1950. 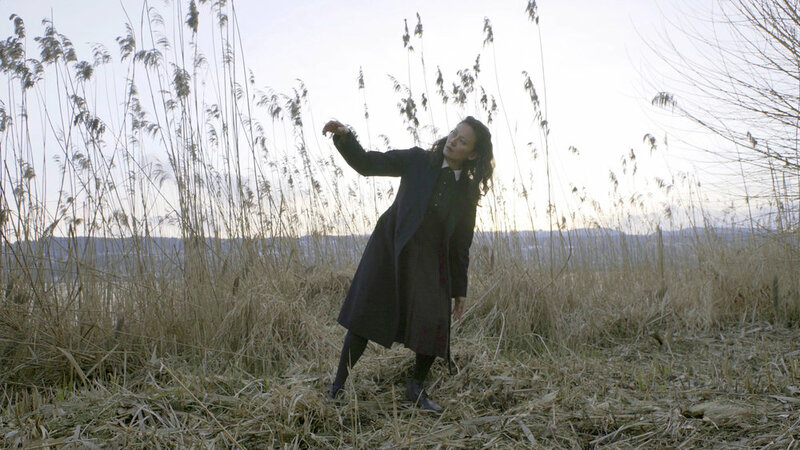 Her words are interpreted by a cast of international dance artists performing in a range of Swiss locations where Lucia spent time. This documentary by Áine Stapleton ignites our interest in Lucia’s complex family life, her unproven illness, and her undoubted talent. Composers: David Best and Ed Chivers.